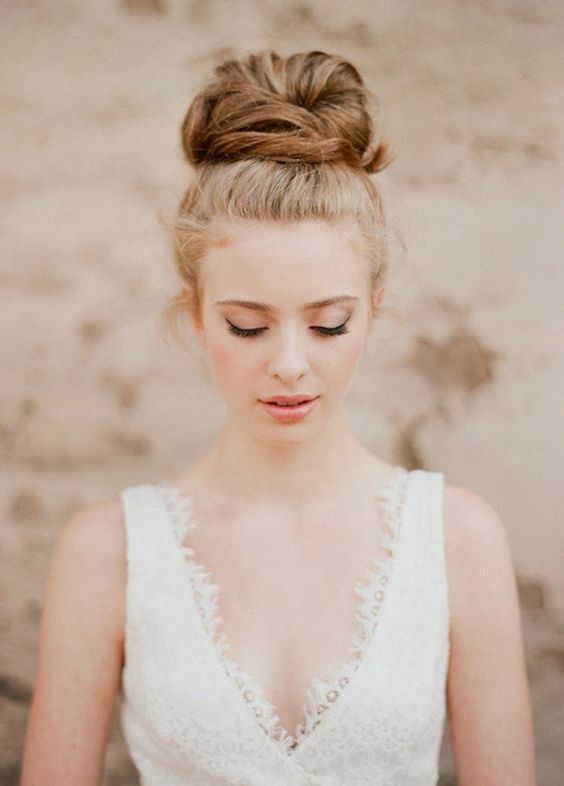 A top knot bun hairstyle is classics for any kind of event, especially for weddings. Though you may say that it’s too boring and usual, suitable only for formal weddings, I’ll convince you it’s not true. 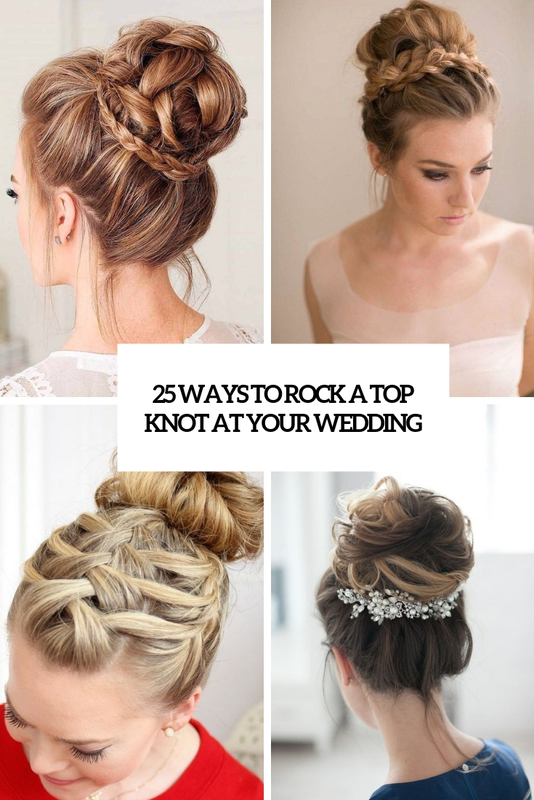 There are many fresh takes on a traditional top knot and many relaxed top knots to go for – they will easily fit various wedding types and themes. 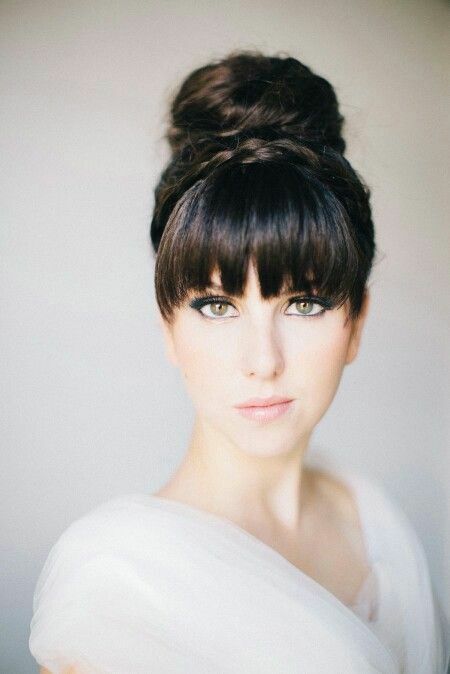 Besides, you may accessorize your top knot in different edgy ways. Let’s start! 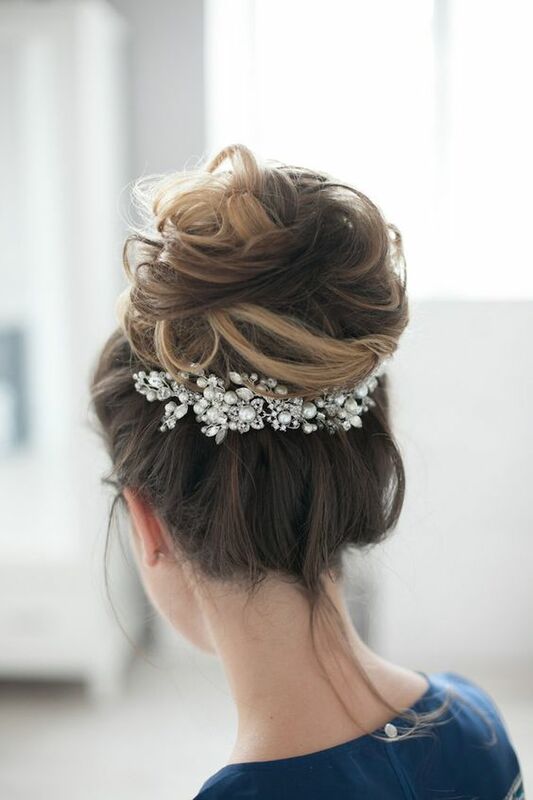 A large ballerina bun is classics, you can never go wrong with it, especially if you are having a formal wedding. If you want a more relaxed and glam feel for your look, you may rock some dimension and texture and make the top and knot looser. 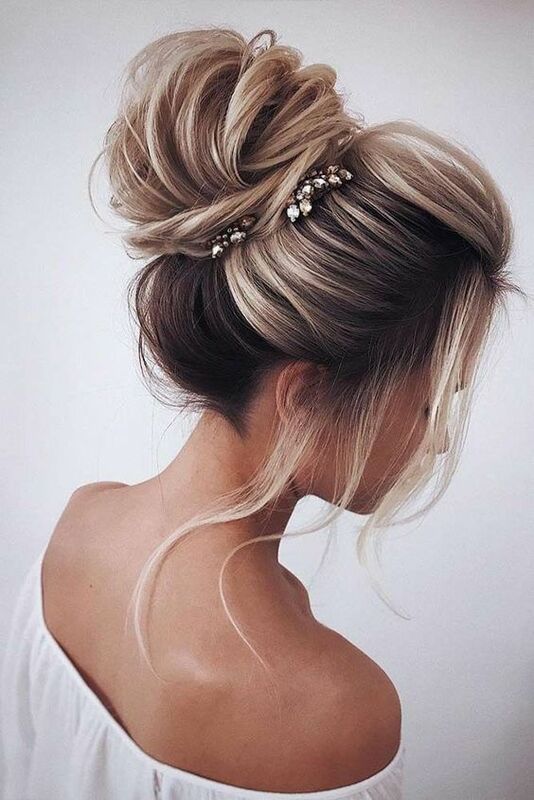 If you feel like simple and very relaxed options, think of super messy top knots – as if you’ve just woken up and decided to go like that, it will add a nonchalant and relaxed touch at once. Looking for catchier and bolder ideas? Then it’s time for braids! You may rock a fully braided top knot, an upside down braid on the back of your hairstyle, or go for various types of braids on top: French, waterfall, fishtail or usual ones. 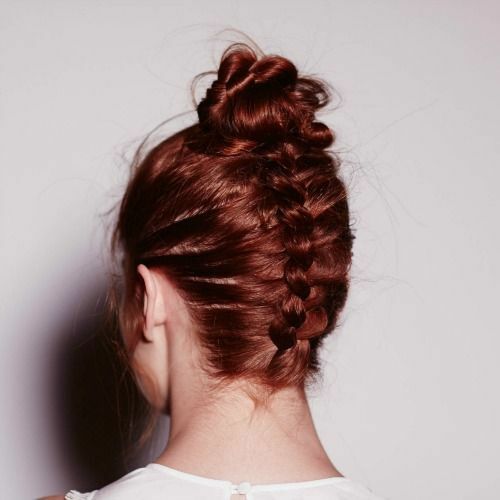 One more easy yet braided idea is to cover your top knot with a little braid. 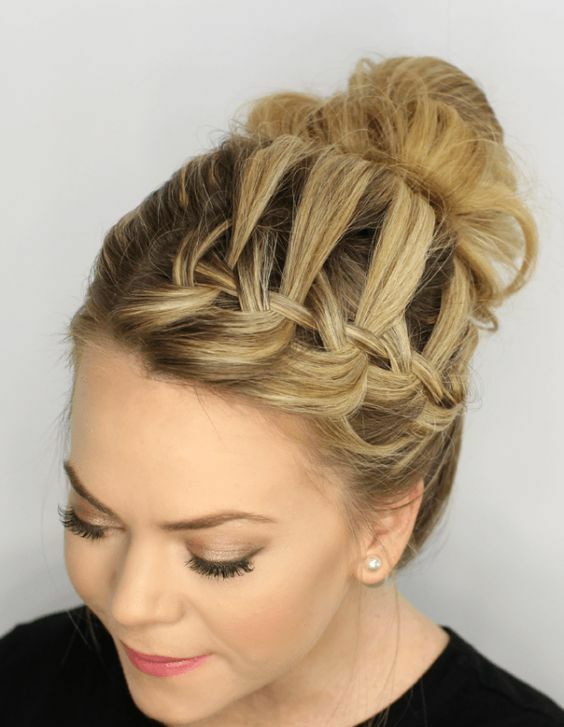 Go for a whole double braided halo around your head and a top knot if you have long hair, it’s gonna look spectacular! Even if you’ve chosen the simplest top knot, you can make it very interesting with some accessories. 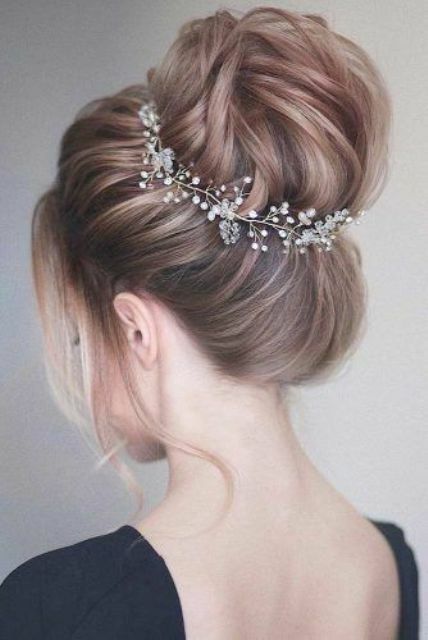 First of all, these are eye-catchy pearl and rhinestone hairpieces that can be added on various sides of the top knot or on the back under it. Hair vines are the trend of the year and if you want one, just take it and wrap around your top knot to add a bit of edge. Like greenery crowns? Take a greenery branch and wrap your top knot – this way you’ll get a fresh and modern touch for your hairstyle.